First year bloomed 1979. Parentage White Charm x Reath semi-double white lactiflora. 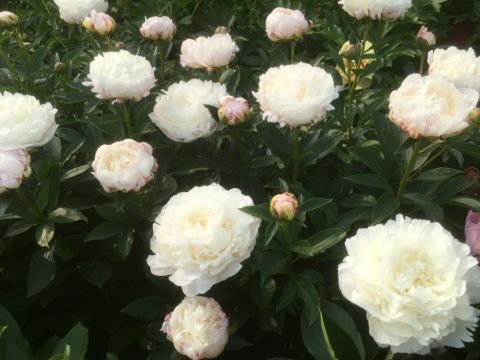 Lactiflora of hybrid origin, bomb type, full double, heavy amount of bloom, good substance and fragrant. Adequate stem strength, 30″ height, blooms early lactiflora season, one to three side buds. Seedling # 79-41.